By the end of 2018, M&A value is forecast to reach US$6.5 billion, or 63.7 per cent that of 2017. In the medium term, the size of the M&A market in Vietnam may exceed US$5 billion for the period 2014-2016 to stabilise at US$6-6.5 billion. This is the information presented at the recent M&A Forum. According to the Foreign Investment Agency (under Ministry of Planning and Investment), in August 2018, Vietnam recorded a sharp rise in foreign capital inflows through the form of capital contribution and share purchases. In this month alone, Vietnam’s investment market recorded 1,200 projects with a total capital of US$490 million. Over the past 10 years, nearly 4,000 M&A deals have been successfully implemented in Vietnam with a total value of US$48.8 billion and a growth rate of approximately 17 per cent. The market size in 2017 increased nine times that of 2008. In 2017, the total value of M&A in Vietnam is US$10.2 billion, the highest level ever and up 175 per cent compared to 2016. At present, for transactions involving privatisation, sale of State capital, only 8 per cent of the total state capital in the enterprise has been successfully sold, of which record sales have been made at Vinamilk and Sabeco. In the private sector, some successful deals such as Vinhomes, Techcombank marked a turning point when investment funds and international financial institutions actively participate. The sectors they are interested in are fast-moving consumer goods, real estate, banking, retail and food production. Over the years, Thai investors have still been pursuing a strategy of acquiring large market-leading companies. 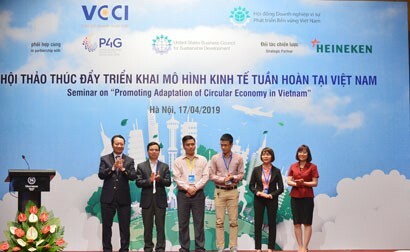 The typical deals include retail, distribution (BigC, Metro, Nguyen Kim) and materials sectors (VCM, Prime Group, Holcim, Binh Minh Plastics, Tien Phong Plastics). The record deal was that ThaiBev (Thailand) acquired 51 per cent of Sabeco worth US$5 billion in 2017 through its subsidiary Vietnam Beverage. Vingroup (VIC) said that in late April 2018, the company and another member of the group signed an agreement with Singapore's GIC Private Limited investment fund. Casino Group (France), the owner of the Big C brand in Vietnam, revealed that Big C's business value was €1 billion (US$1.14 billion). The group said the deal would bring in approximately US$1.04 billion (about VND23.3 trillion). In addition to becoming an effective new capital mobilisation channel, M&A activity also promotes the process of reforming the growth model, restructuring the economy, privatising SOEs, and improving the competitiveness of Vietnamese enterprises. The divestment of SOEs is also expected by the organisations operating in the M&A sector. The major sectors attracting strong M&A investment are consumer goods, retail, telecommunications, energy, pharmaceuticals and real estate. According to a research report of M&A Vietnam 2018 Forum, 2017 shows that the largest proportion of M&A is consumer goods, followed by real estate and banking – finance. Meanwhile, in the first six months of 2018, the real estate sector accounted for 66.75 percent of the value of transactions, while banking and finance ranked second with 19.06 percent. Currently, the foreign investment funds or foreign invested companies having M&A real estate projects include Keppel Land, Hong Kong Land, Warburg Pincus and Mapletree. Domestic developers of local projects such as: Vinhomes, Hung Thinh are also expanding and looking to buy beneficial land positions. 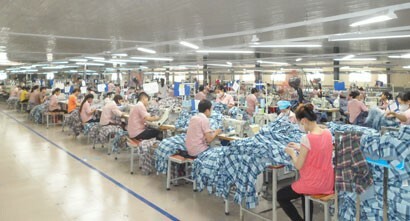 At present, the most important sectors are the key sectors in accessing the market of 95 million people in Vietnam. The acquisition of consumer goods companies (beverages, food, and necessary consumer goods) involved not only buying the brands, but also purchasing the distribution network to access the market. Larger-scale deals are expected in the next stage, especially the divestment of large equitised SOEs and the participation of foreign investors. However, there are many barriers in the M&A of State capital sector due to the fact that the quality of enterprises and the scale of the economy are not attractive enough, and the policy barriers have not been cleared yet.